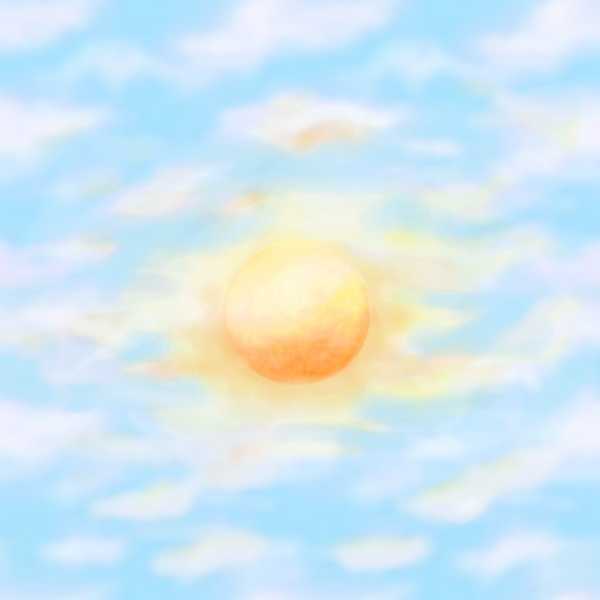 "Blue sky, sunshine, what a day to take a walk in the park. Ice cream, day dream till the sky becomes a blanket of stars. What a day for pick-in' daisies, and lots of red balloons. And what a day for hold-in' hands and be-in' with you." 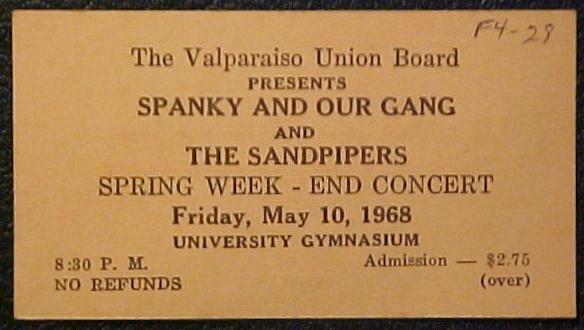 One of my Favorite 60's groups (1966-1969) was out of Chicago, headed up by female lead vocal, Elaine 'Spanky' McFarlane, and appropriately called Spanky and Our Gang. 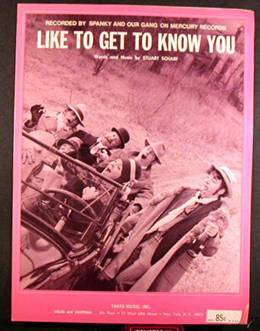 Other group members included Malcolm Hale, Oz (Paul) Bach, Nigel Pickering, Lefty Baker (true name Eustace Britchforth), John Seiter, and Kenny Hodges. 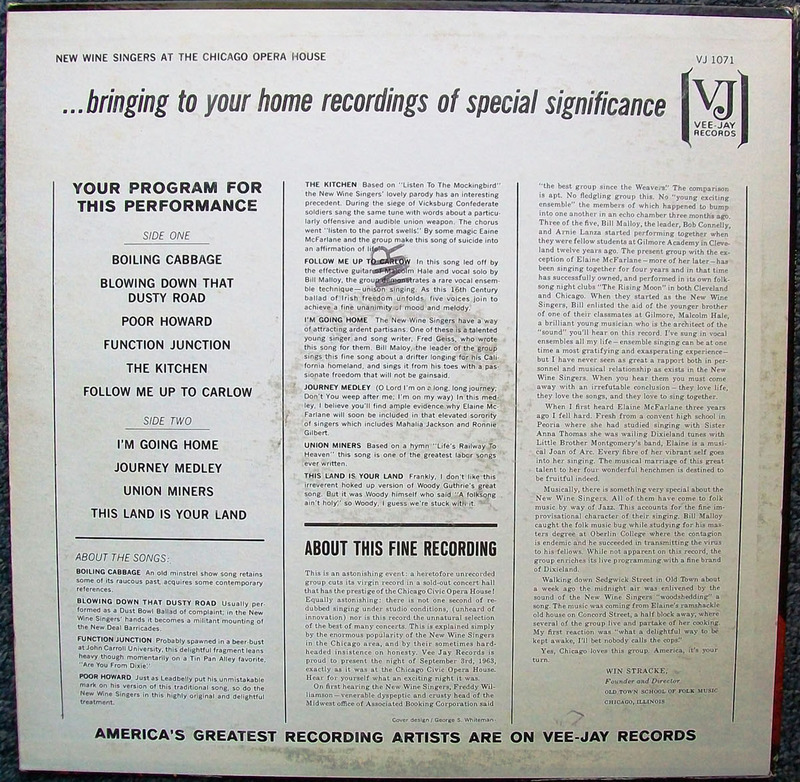 The group did not release many songs, but several of them, particularly, Sunday Will Never Be The Same (performed June 18, 1967 on the Ed Sullivan variety show), Lazy Day, and Like to Get to Know You, embody the idealism of that era, and are timeless. 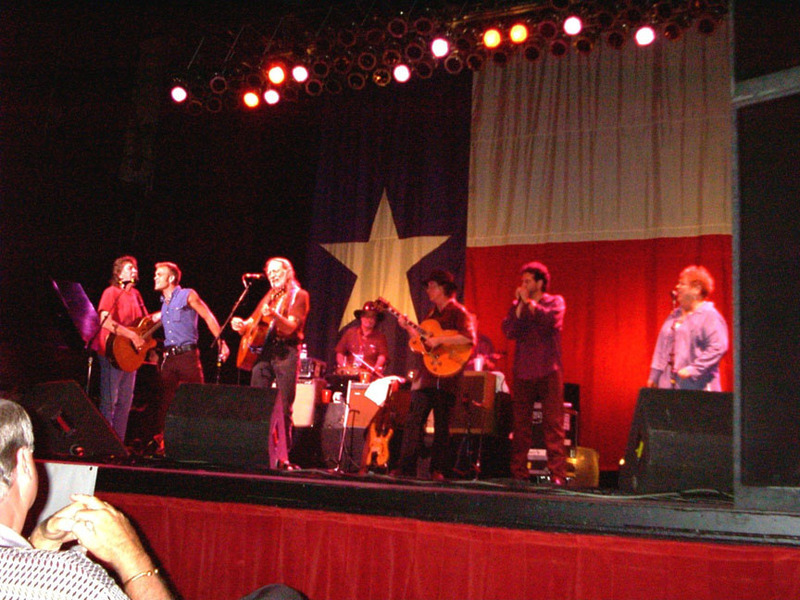 Spanky's powerful voice, great supporting harmonies, and song arrangements, are what made for such a unique sound. Tragically, group member Malcolm Hale died in 1968, as did Lefty Baker in 1971. 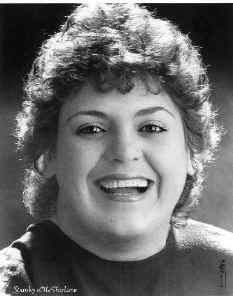 More recently, (September 1998), founding group member, Oz Bach, succumbed to a lengthy battle with cancer. 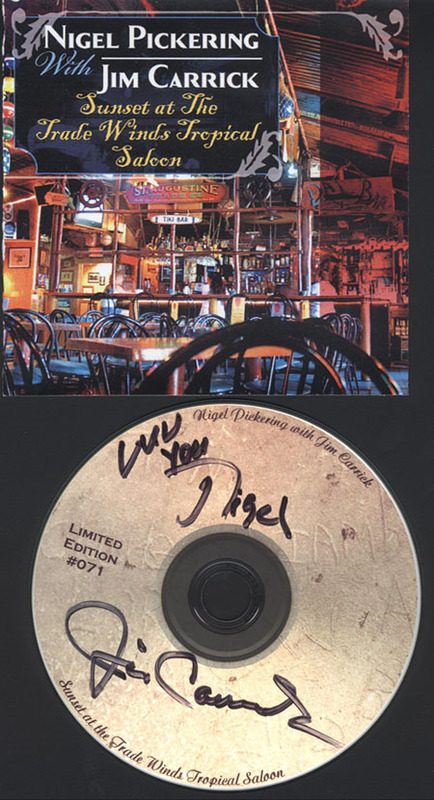 Oz, Sharon and family, song lyrics, as well as where to buy re-released Spanky and Our Gang CD's. Check out the lyrics for Lazy Day--such an uplifting song! Kind of like Sunday Will Never Be The Same, due to the loss of so many group members, Spanky and Our Gang will never be the same, but the great tunes and memories will live on forever. Bruce Eder--Has a detailed group history that is worth a read. 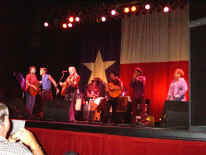 Spanky was back performing March 9, 2012 at Armando's Martinez, Calif. 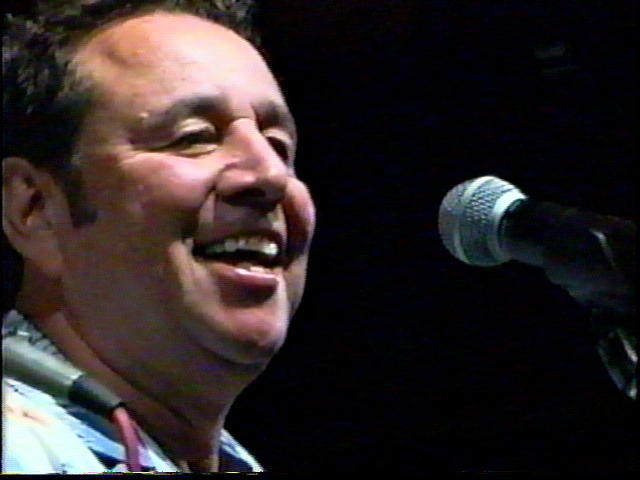 In December 2003 Spanky teamed up with singing legend Chris Montez performing at the San Carlos 60's Music Festival. 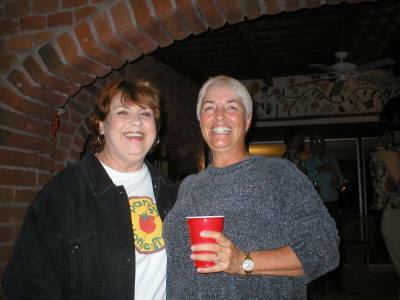 Thanks to Leslie Sahlen for helping organize the event, and allowing the use of these photos. 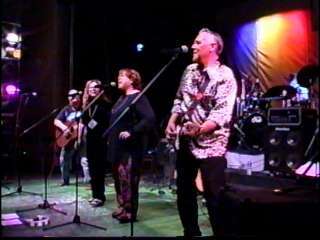 2003 San Carlos Music Festival, Sonora, Mexico. 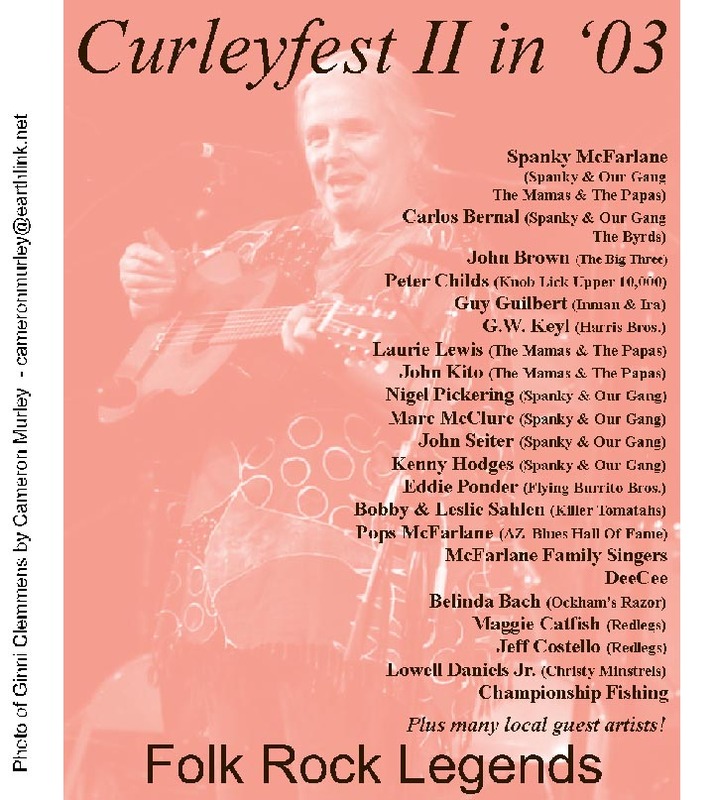 Thanks go out to "Spankette" Leslie Sahlen for encouraging Spanky to perform, and helping organize Curleyfest. 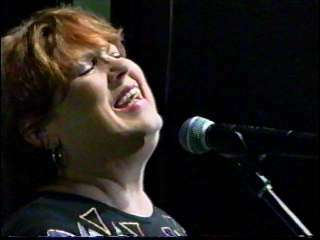 Spanky along with Nigel Pickering, and Kenny Hodges put on a reunion concert at the Trade Winds Lounge in St. Augustine, Florida, March 14, 1999. Also present was Mama Blue (a key figure in Our Gang's genesis), Sharon Bach, Belinda Bach (Sharon and Oz Bach's daughter who is also a song writer and musician), John Brown, and Curley Tait, former manager of Spanky & Our Gang, among others. For more pictures, please see Sharon Bach's photo montage from the gathering. Spanky and Our Gang member Nigel Pickering, who reportedly fell and broke a hip. Another key figure in the evolution of Spanky and Our Gang has unfortunately met her maker. 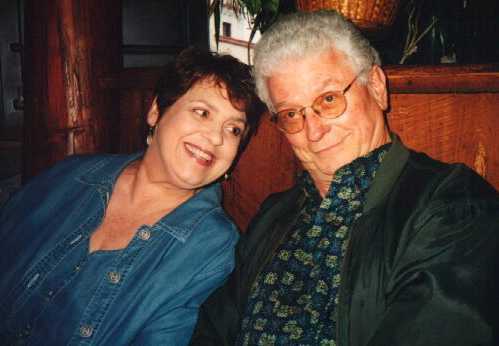 Lorraine Marie Blue (best known as Mother Blue and/or Mama Blue) passed away in her sleep on June 16, 2000 at 3:45 AM of lymphoma at her home in Sacramento. A memorial was held on July 29, in Sacramento, and was also observed at other locations by friends not able to attend. 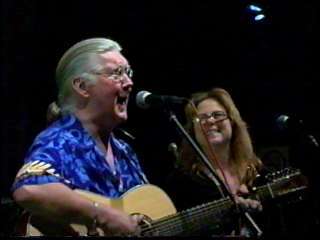 Spanky, Ginni Clemmens, and other friends wrote and performed songs in her honor. Donations may be made in her name to the American Cancer Society. 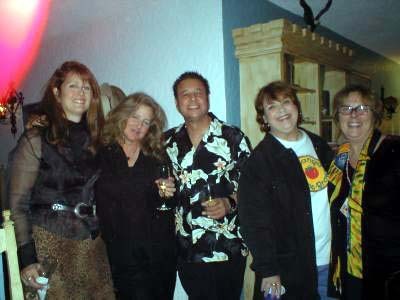 Please see Sharon Bach's Mother Blue memorial page. 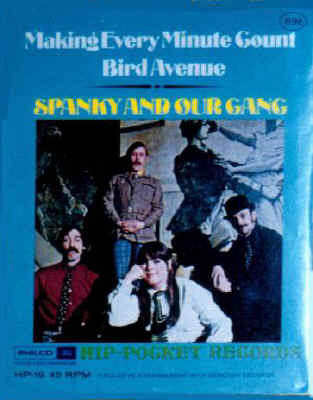 The following pictures (Click To Enlarge) are from a compilation called Spanky's Greatest Hit(s), which is no longer in distribution. 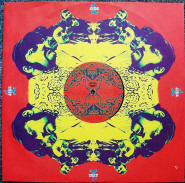 Thanks to Sharon Bach for identifying the band members, and her personal insights. 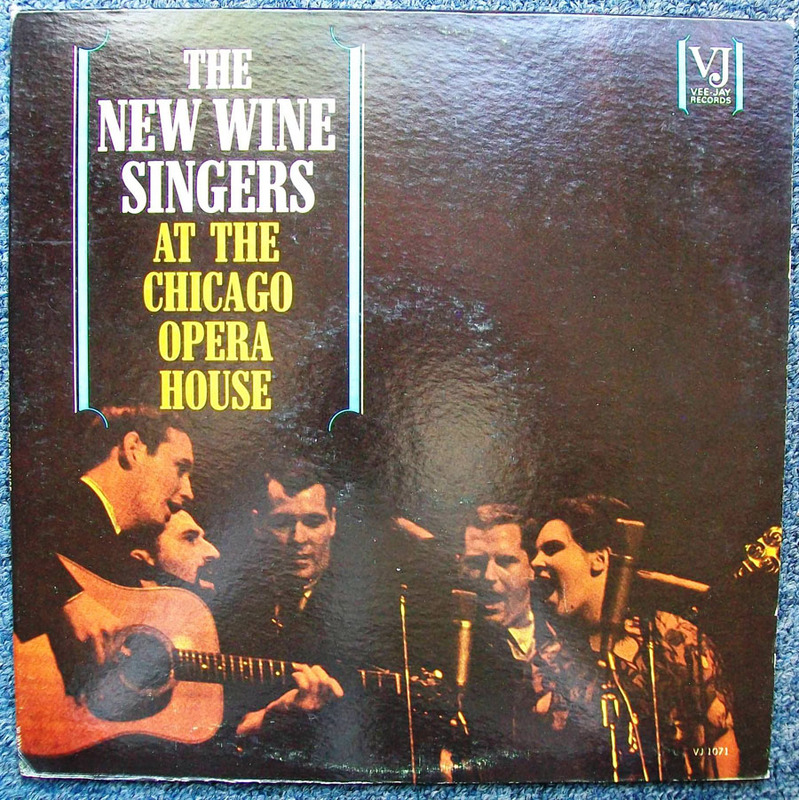 "In the choir robes (pose from the Smothers Brothers show incidentally - they were singing Leopard Skin Phones, alternating between brightly colored 'mod' clothes in front of a huge stereo system and the choir robe pose) They are, from left to right, front row, Nigel (Pickering), Spanky (McFarlane), John (Seiter), back row, Kenny (Hodges), Lefty (Baker)." 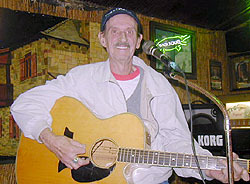 (Click To Enlarge) "In the solo photo is Malcolm (Hale), who passed away before the final release of the 3rd album. 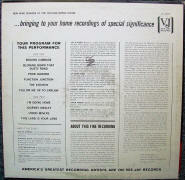 He does perform on that album, however." 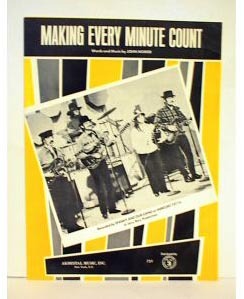 Vintage Spanky and Our Gang "Making Every Minute Count". 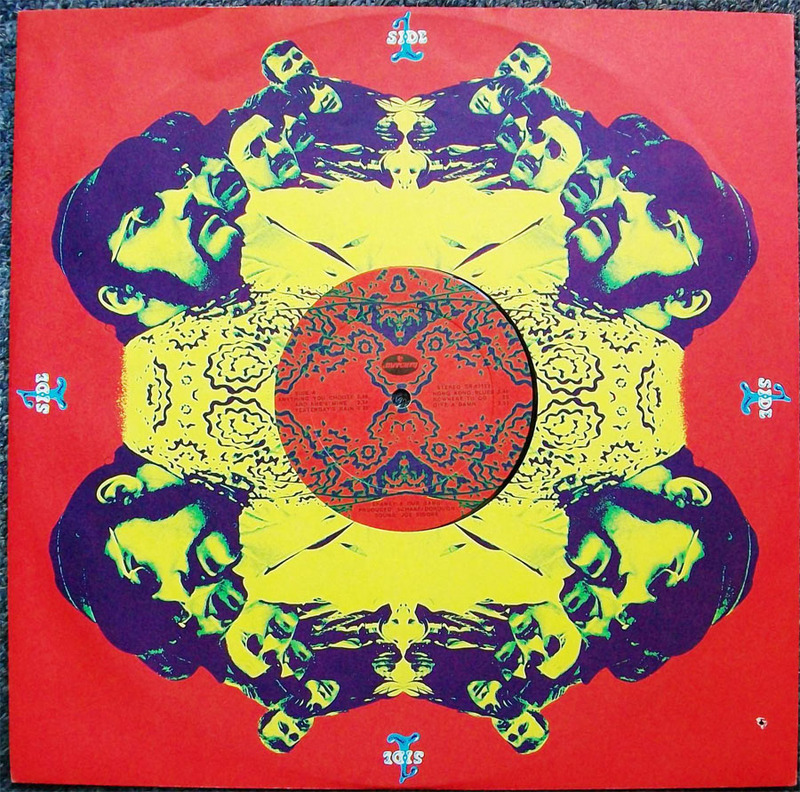 45 RPM vinyl record cover. 69 cents, what a deal! 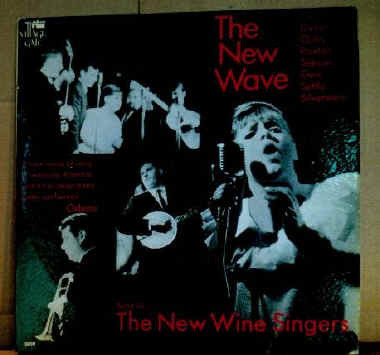 Elaine "Spanky" McFarlane with The New Wine Singers, a group that preceded Spanky And Our Gang. 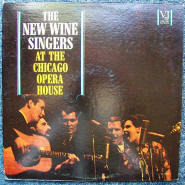 This is the LP "The New Wine Singers At The Chicago Opera House." 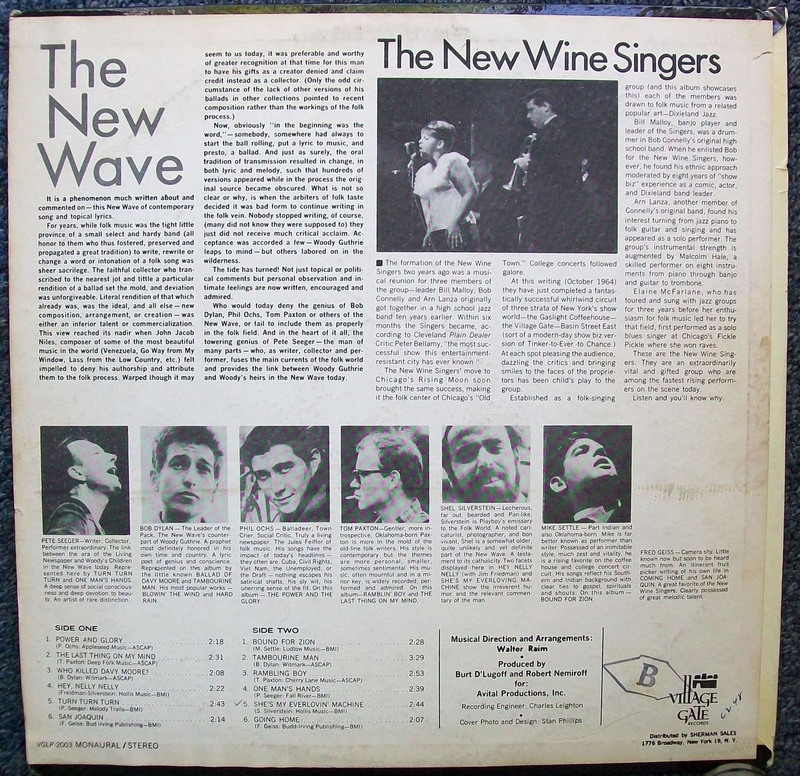 Thanks to Jim F. for providing the LP images (Click To Enlarge) Elaine "Spanky" (pictured at the microphone) with The New Wine Singers "The New Wave. 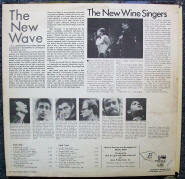 Wonder if this was one of the first uses of the term "New Wave," in the music world? 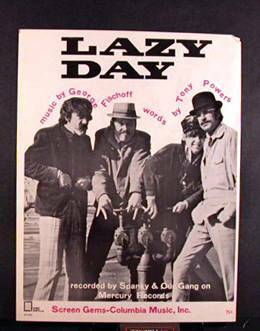 Sheet music for Lazy Day, Like To Get To Know You, Making Every Minute Count. 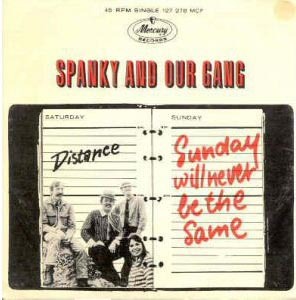 Spanky & Our Gang, Armadillo World Headquarters, Austin, Texas February 20, 1977 Distance-Sunday Will Never Be The Same, 45 picture sleeve. 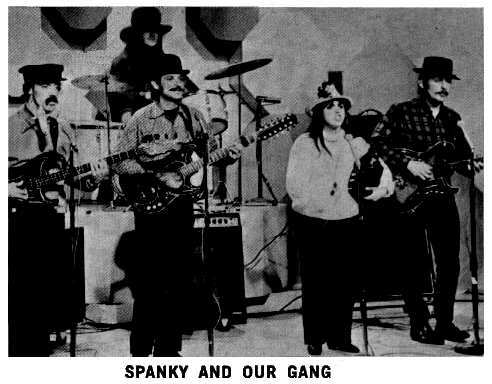 --Sharon Bach's Spanky And Our Gang Web Portal--A must see gateway to all things Spanky And Our Gang produced by wife of founding group member Oz Bach. Disclaimer: This is not an official website for Spanky And Our Gang (one does not exist), but simply a fan tribute page.